National Fire Prevention Week 2011 will be observed from October 9-15. This year’s theme is: Protect Your Family from Fire, and according to FEMA Regional Administrator Ken Murphy, the 2011 campaign is all about keeping ourselves, our families, and our communities safer from fire. Stay in the kitchen when you are cooking. Many cooking fires start from “unattended” cooking. Keep flammable materials away from light bulbs, light fixtures and lamps. Use flashlights during power outages, not candles. If you do burn candles indoors, blow them out before leaving the room, and keep them away from things that can burn. 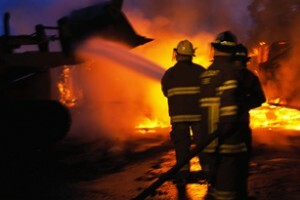 For more information on protecting your family and your home from fire, statistical tips and more, go to: www.firepreventionweek.org. Log in | 49 queries. 1.728 seconds.